Our local sandy beach is a short walk from Primrose Hill. The bay has stunning panoramic views, at low tide a large expanse of firm sand is ideal for building sandcastles, flying kites or just walking… and walking. The Smugglers Inn and the Blue Anchor Pub serves excellent food and have lovely gardens. Both pubs are dog friendly. The Driftwood Cafe is a 1930's style cafe open 9am -5pm serving snacks and meals, the all-day breakfast is a firm favourite with guests. Or Indulge your coffee fix at the H coffee shop. The busy and ever popular Home Farm Car Boot runs on a Saturday and Wednesday afternoons May to October. Please note: The swimming pool at Hoburne Caravan park is sadly no longer open to the public during school holidays . 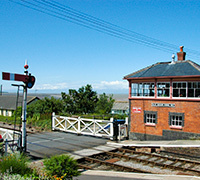 Steam Railway enthusiasts can board the West Somerset Railway train at the pretty Blue Anchor station, a time warp back to the halcyon days of steam. The line is the longest preserved railway in the country skirting the Quantock Hills and passing through picturesque villages and tranquil countryside. 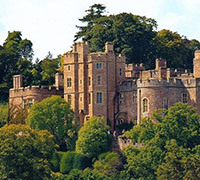 Dunster is a beautifully preserved medieval village. 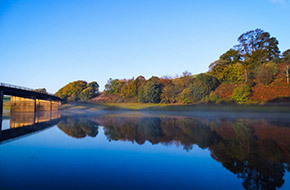 The National Trust own the Castle and gardens. They host interesting events throughout the year. After a visit to Dunster Castle the village, with its cobbled streets, delightful shops, tea rooms a plenty, is a lovely place to while away a few hours. 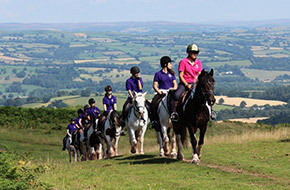 In August the hugely popular Dunster Show and Dunster Fair take place on the polo fields. In December Dunster by Candlelight sees vistors arrive from far and wide. Dunster Beach is very popular... the pay and display parking is next to the beach, but if you are feeling energetic it is a lovely walk along the Steam Coast Trail from Blue Anchor. A cafe serves fish and chips and cream teas during the main season. Pitch and putt will entertain the kids (and adults) and behind the quaint beach chalets is a small wooded lake teeming with wildlife. 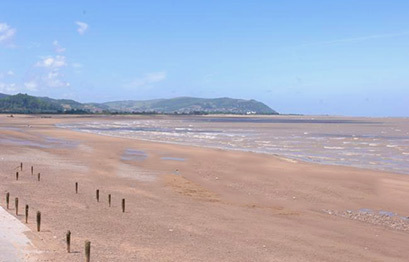 The bustling seaside town of Minehead with shops and restaurants is just a short drive away. The pretty harbour and old town near the church are worth exploring on the way to North Hill’s spectacular coastal views. During the summer months Blenheim Gardens hold outdoor concerts. There is a popular Farmers Market every Friday and an Artisan Market every Saturday during July and August. 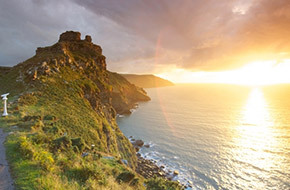 Exmoor National Park is just a short drive away with its miles of footpaths, rivers, moor and heathland and views that make you feel good to be alive. 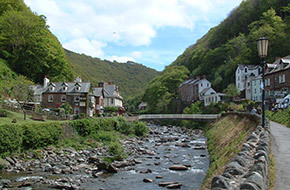 Visit Doone Valley, dramatic and wild; walk along the river at Tarr Steps; call in at the Exmoor Pony Centre and a cream tea at Selworthy or Horner is a must. And did I mention Bossington, Webbers Post and Dulverton? Those who are less-abled can hire a Tramper All Terrain Mobility Scooter at Heddon Valley and go along the coast path towards Woody Bay. 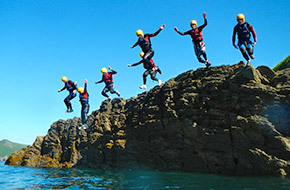 Exmoor Adventures and Channel Adventures will inspire you to try new activities, from mountain biking to coasteering. Exmoor is excellent for getting your heart and adrenalin going. Primrose Hill has many lovely walks from the doorstep and nestling between Exmoor and the Quantock Hills the area is a walker’s paradise. We can suggest tried and tested walks and have maps and walking guides available to borrow. 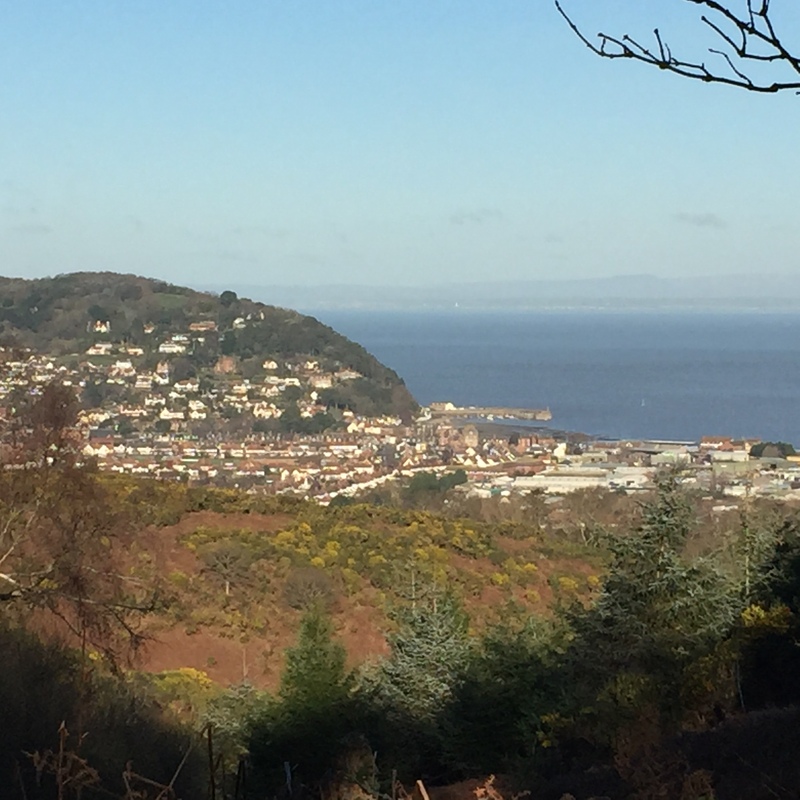 Whether you’re looking for an afternoon stroll to take you to a beautiful view, or for a challenge like no other in hiking the entire South West Coast Path National Trail of 630 miles from Somerset's Minehead around to the shores of Poole Harbour in Dorset, you’ve come to the right place. 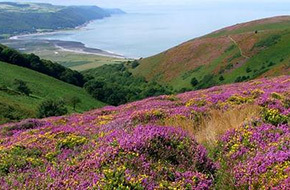 The Coleridge Way is a 51 mile linear walk from the Quantock Hills to the Exmoor coast. 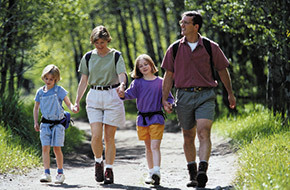 It creates the perfect 1 week walking holiday, ideally with 2 cars using Primrose Hill as your base. 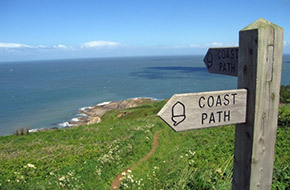 The South West Coast Path and The Steam Coast Trail are part of England Coast Path. 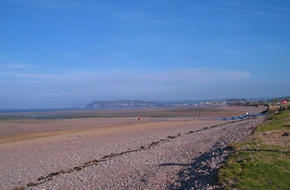 Blue Anchor Bay is popular with fishermen at high tide. If river fishing is your sport Exmoor has miles of rivers and with lake fishing at Clatworthy, Combe Sydenham Country Park or Wimbleball – you are spoilt for choice. If you are exploring Exmoor you will cross the county line and find yourself in glorious North Devon. 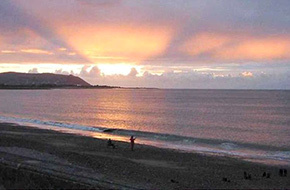 The North Devon Coastline with its surfing beaches at Croyde Bay and Woolacombe and picturesque Lynton and Lynmouth are popular day trips from Primrose Hill.